With all the Google manual web spam actions and algorithmic penalties that have been going on in the past year, some bloggers are starting to shy away from SEO. After all, it’s very difficult for the layman to know what they should and should not be doing. Bloggers who seemed to be playing by the rules were suddenly hit by algorithm changes or (worse yet) slapped with manual web spam actions and de-indexed by Google. Many of us, (especially those of us who have either allowed do-follow CommentLuv links on our blog or left URLs on CommentLuv enabled sites) have been scrutinizing our sites for links that Google could deem “unnatural”. This week, in #FridayFinds, let’s take a look at some of the signals that Google looks for, how SEO tactics are changing, the changes to how post titles display in the SERPs and a sneak peek at Chrome Canary. How Much Does Google Know About the Sites You Control? Relationships between websites you own and control are known as administrative relationships. Over the past decade, Google has tried to figure out these relationships (to help and to discount links). Google perceives links that are editorial as being more natural than links that are under the control of the same person. Related websites (that pass authority) can be rewarded by Google. For example, when eBay launched a site in Ecuador or when a company launches a version of their site in another language . 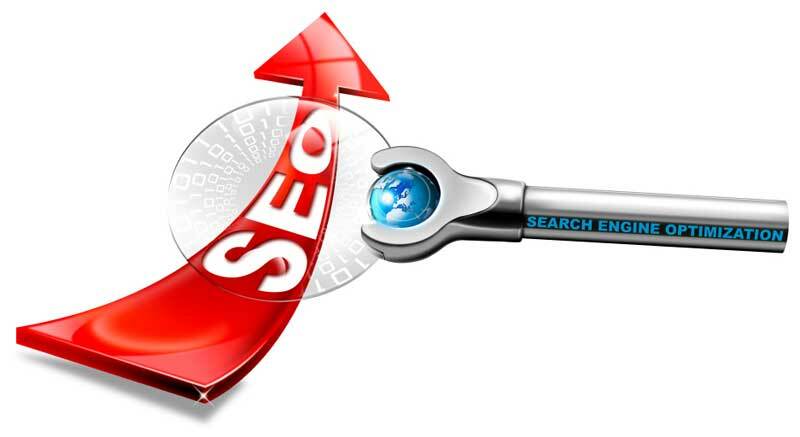 How Are SEO Tactics changing in 2014? This week in #FridayFinds, I came across the article 20 Worthless SEO Tactics to Avoid, Plus 7 Ways to Dominate the SERPs by Travis Bliffen on WebsiteMagazine.com. I found this post to be particularly interesting because Travis uses bulleted points that make this a relatively quick read. Is the Title That You Wrote What Shows in Searches? Have you ever noticed that the title that you wrote for your blog post is not what Google returns in the snippet of the SERP (search engine result page)? Why is that and what can you do to improve it? Matt summarizes his points by suggesting that, if we want our titles to be shown in the search results, we need to anticipate what a user is going to type. What Do Your Blog Post Titles Look Like in 2014? Earlier this year, Google redesigned the format of their SERP (search engine result page) and AdWords blocks. For some great before and after examples of how basic searches, AdWords results, images and videos are now appearing in the search results, check out Google’s 2014 Redesign: Before and After by Dr. Peter J. Meyers on Moz.com. While these format changes may have little impact on most people browsing the web, it could have an impact on SEO. Simple things that Google changed (like font size) can significantly affect what is actually displayed in the search results. For example, in another article by Dr. Peter J. Meyers (also on Moz.com), he shares how this simple change can result in characters of your post titles being dropped. Will the URL Be Buried in Google Chrome? Are you changing your SEO tactics this year? Have you started writing shorter blog post titles? What are your thoughts about Chrome Canary? We’d love to know. To learn more about this week’s featured authors, you can connect with Cyrus Shepard, Travis Bliffen and Pete Meyers on Google+ and Allen Pike on Twitter. Indeed very informative, specially for those who are learning SEO. Although some topics were new to me e.g “Burying the URL”. Good Work. Thanks for letting me know that you found my post informative. Whether we like it or not, SEO is so important. Often, just not knowing about something can hurt us. The amount of information about SEO can be overwhelming. That’s why it’s my favorite topic to blog about. I always appreciate it when someone lets me know that my posts are helpful. Thanks for posting such a nice information for us Sherryl. Your hard work and efforts in bringing this tutorial for us are just clearly visible and its surely going to help all the newbies. “some bloggers are starting to shy away from SEO” – that I’ve heard over and over for about six years now at least. And if all blogger and webmaster colleagues had instead over those years kept up their (“white hat”) SEO efforts, most of them would have blown their websites out of the water as sucessful incumbents over and above those that did it, like them, in fits and starts. As for the IPv6 protocol: this will most likely end in renewed strategies by users to hide as much info from prying eyes as possible and make analytics not easier, but, after a time of adjustment, even more difficult. You raise a valid point about consistently following solid SEO tactics to drive organic search traffic. I honestly think some bloggers get overwhelmed by too much info coming from the SEO “gurus” and they end up not wanting to even think about it. I always recommend just forming some basic SEO habits. I know that when I first started blogging, I would write in basically the same style that I do now but I didn’t give a thought to white space and using keyword-rich heading tags. That’s a very simple technique that bloggers can easily incorporate into their blogs and it makes a difference not only as far as SEO goes but it makes it easier for our readers too. That’s a great observation about the IPv6 protocol. Thanks so much for taking the time to share your insights with us. It’s no wonder we are all scrambling and trying to stay on top of everything that Google does and says. George Soros owns Google and I think the man is sadistic. Google him 🙂 and you’ll see what I mean. He likes playing God and messing with everyone’s business. As soon as everyone gets comfortable, he likes to shake things up. Can you tell I dislike the man? 🙂 Don’t like his politics either but, don’t get me started. What’s good this week with Google may not be so good next week. First Google says a longer title is best now, Google is saying that a shorter title is best. I do what I can to keep up with what Google wants but, I’m not going to lose sleep over it. Great job on putting this together. There is a lot of info here. I’m going over to Travis’ site to read more. I don’t lose any sleep over Google either. Although, they do make me a little nervous. Like you, I do the best I can to keep up with SEO but bottom-line, I’m not writing for the search engines. Most of my article titles are close to the 70 character limit. I’ll try to take Dr. Peter J. Meyers’ suggestion that 55 characters may fit better into consideration but that’s going to be a tough habit to break. Thanks for the kind words, the share and for letting me know that you found my info helpful. I think you’ll enjoy Travis’ articles as well. Thanks for the insightful article. You have certainly taken a deep dive here..it is exhausting to keep up with Google and the changes they make. I think the first priority for any blogger or business owner should be to create content that helps. Write for humans, and solve some problem people are facing. SEO is such a moving target now! Thanks for letting me know that you found my article insightful. I appreciate your feeback. There is so much happening within Google. It’s quite hard to understand which is Good and Bad. I think it’s good for quality bloggers if these types of continuous update can bring quality information to the searchers. We can keep hoping that these updates will eventually help bloggers and catch the spammers. It’s unfortunate that so many legitimate bloggers lost rankings and traffics due to what happened earlier this year. Some interesting finds there. Stuff that I do not normally watch. Where do you get most of your SEO tips? Moz? Also great to know about linking sites. I guess Google has access to the whois info. I wonder if they still access it even if it is hidden? Always worth keeping up with SEO even if it is the small things (like the reduced title space mentioned). I’m glad you found my post interesting.I find a lot of interesting tips from Moz but I also follow Search Engine Land and I subscribe to the hard copy of Website Magazine. There are also a few bloggers who I follow that share some interesting SEO tips and I’ll follow the resources that they link to too. There are so many little subtleties that we can’t possibly be aware of all of them. So, when I find a recommendation by someone like Dr. Peter J. Meyers, I’ll make a note of it and move on. It would be easy to get bogged down on some of this. Thanks so much for taking the time to weigh in on this. I agree, great job and that’s some time you’ve spent on sharing this information with us. I definitely had to pop over and read Travis’ site because as you know the only thing that I’ve been hit with over time has been my page rank. It’s been way up and now it’s way down again although I shouldn’t complain compared to others who have been de-ranked. Anyway, I always like to make sure I’m not doing anything on any of the no no lists so at least for those reasons I know I’m good. As you know I have a love/hate relationship with Google and although I definitely want to stay on their good side, I’m not jumping through hoops to do so. I love to write about things I’ve learned, I’ve found helpful and useful and that work for me. If Google loves it and wants to reward me great. If they think it’s horrible and want to penalize me then I guess I can’t do anything about that either. I just try to do what I think is best for me moving forward and keep my fingers crossed. I just don’t want to obsess over all this stuff because it’s going to continue to change. Thanks though because I don’t want to be ignorant of what’s going on but I don’t want to worry about it either. Adrienne recently posted..A BIG Twitter Mistake: Are You Doing This? I think we all want to stay on Google’s good side. It’s just not easy to keep track of what we should and should not be doing. The amount of information available is overwhelming and even the SEO “experts” don’t always seem to agree. Both of us have seen so many respected bloggers who have been de-ranked and de-indexed. My overall page rank hasn’t dropped in years but you know that I lost a significant amount of organic traffic last year. As much as I try to follow good SEO practices and closely watch my links, I always have that nagging fear that what’s happened to others can also happen to me. What I found most disturbing about the info that Cyrus Shepard shared with us is that in some cases people are being targeted by Google. I really hope that’s not true but I suspect it may be. I don’t pretend to be an expert in this area but what I can do is research the topic and then try to boil it down to bullet points that most of us can understand. Like you, I’m just trying to do my best while providing quality content and writing for my readers not the search engines. Thanks for letting me know that you found my article helpful and that you appreciate the amount of time it takes to write a post like this. I hope you’re having a great week! Just a note about page rank. Several people over in LinkedIn have commented that their page rank has dropped markedly but their hit numbers are up. It sounds to me like either Google jigged their calculations or they’re taking more of the growing worlds web sites into the count. In other words, today’s page count can’t be compared to prior ones as its not comparing the same thing. For example, you’re #3/10, then you’re #30, but now out of 100. Same rank but in a larger pool. Have not researched but hard numbers are always more useful than relative ones. Thanks for adding your insight to this. I hope you have a great weekend! Your research and the time you spend on these issues is very helpful. I have yet to view the videos but it’s on my list for this week. Thanks for letting me know you find my articles helpful. Boiling down info into sound bites is something that I enjoy doing but there is just so much in-depth info about these topics, it’s not easy to be concise. I hope that the bloggers who are recommending writing longer posts are right. This one was two words short of 1,500. Blogging has changed a lot. It seems that every week, there’s something new revealed about what works and doesn’t. On top of that, what works for me may not work for you. Good luck with your titles. I’m still struggling with them myself. I looked for the link to the Moz study but couldn’t find it. Do you have the link? The reason for the question is it would be interesting to see what industries and brands were included in the study. Also I wonder if there is any correlation to the length and whether it leads to sales. I just ran a search on the Moz study and I found references from sites like SearchEngineWatch.com and SERoundTable.com. They all point to the same article that I linked to: “New Title Tag Guidelines & Preview Tool” by Dr. Peter J. Meyers. It’s good to see you here. Thanks for dropping by and raising the question. Sherryl — you’ve done it again. Thank you for the research and time you spent on these issues. I viewed the videos and read the stories you linked to. I know that I need to start using shorter titles and think more about how someone will search for my content. When I first started blogging it was a hobby before it was a business and I wrote a number of short posts. So I will be revisiting and probably deleting those if I don’t think they add much value. It’s amazing how Google controls our lives. I know the old saw is write quality content for your readers, but we all know that the first reader that matters is Google! I still struggle writing titles myself and I know recently, I’ve reached the 70 character limit. Although, if Google truncates my hashtag, I’m not worried about it. To be honest, I really was not that keen about my title this week but I couldn’t come up with anything better. I try to revisit old posts too. Some of my earliest posts were shorter than I would write today. (Well, most of them are.) I try not to delete old posts if I can avoid it because it will result in broken links. It may be a function of the theme that I use but I have a field that I can set in my posts called “301 Redirect for this Page’s URL”. I use that sometimes to direct visitors to another post on the same topic. Thanks so much for taking the time to comment. I explained to Diana that I am playing serious catch-up on replying to comments (mainly those left for me on Adrienne’s blog). You know I’ll be by your site as soon as I can. Burying the URL is a bad idea. That’s like Outlook hiding the actual email address. It leads to errors and ignorance about the web. In the case of URLs, it would also add further hazards from phishing and such. The analogy I would use is that if you want to visit someone house, “Sherryl’s place” won’t help much. But the address will. On the other hand, I’m surprised by how many still enter a site name into Google, then click that link rather than just entering it in the address bar. I tend to agree that clamping down on spam comments won’t deter spammers. They have methods other than spam that must be working for them. I agree that burying the URL sounds like a bad idea. It’s dangerous enough surfing the web without being able to see where your are. The biggest argument that people have about shortened URLs is not knowing where it links to. Thanks for the great post, Sherryl! I think I was tapping into my inner-Geek when I started out with that first video 🙂 but I really like delving into what’s going on behind the scenes. I know there will be some readers here who will enjoy it. I’m glad you enjoyed the recaps. Thanks for letting us know that you can see the full URL. There are so many quirks on the Internet. It could be anything. I hope you’re having a great weekend!